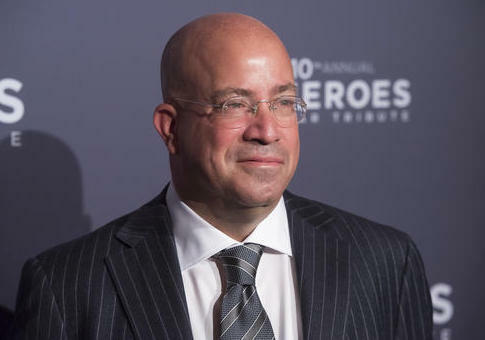 CNN's President Jeff Zucker has dictated questions that are unfavorable of President Donald Trump to his anchors while they are live on set, according to reports. There have been several instances in which Zucker took the reigns, according to the Hollywood Reporter and the Daily Caller. During a 25 minute long debate between CNN anchor Jake Tapper and White House Counselor Kellyanne Conway on Feb. 7, Zucker called the control room to tell them to ignore commercial breaks. "He was telling my executive producer, ‘Keep going!'" Tapper said. Tapper and CNN's Wolf Blitzer were recapping Trump's Feb. 16 conference when they interviewed Jeff Lord, a former CNN contributor and Trump supporter. During the interview, Lord said that Trump was "relaxed" and "on point" during the press conference. Moments later Zucker called Tapper through a direct line and had him pose a question. "What about the 57 percent of people who didn’t vote for him? Doesn’t he have to be their president, too?" Zucker said. Within moments, Tapper asked Lord the question structured around what Zucker wanted. As the debate continued, Lord pointed out that Trump asking Urban Radio Networks' African-American reporter April Ryan to set up the meeting with the Congressional Black Caucus is proof that Trump was appealing to the African-American base. Zucker picked up the phone again, and had the anchors ask another question. "Then why does he have to ask April Ryan to get a meeting?" Zucker said. Zucker and Trump have known each other since before Zucker approved "The Apprentice" in 2004. Zucker told New York Magazine in October that Trump's attacks on his network made him "sad." "It’s just unfortunate that the most powerful person in the world is trying to delegitimize journalism and an organization that plays such a vital role in our democracy," he said. Zucker is not the only network president who has a direct line to his anchors. Former Fox News host Megyn Kelly wrote that the former Fox News chairman Roger Ailes called her multiple times "to question how hard she was being on Trump during the election," the Daily Caller reported. This entry was posted in Politics and tagged CNN, Donald Trump, Jake Tapper, Jeff Zucker, Wolf Blitzer. Bookmark the permalink.